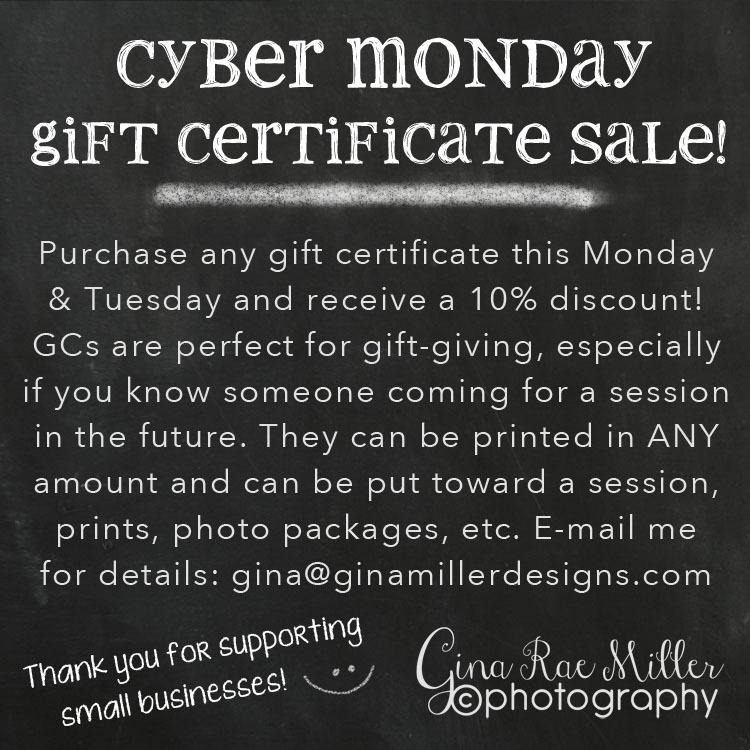 I have two: a Buy My Store on the digital scrapbooking end and a gift certificate discount on the photography end. I’m also offering a $50 discount to anyone who books a 2013 shoot TODAY! 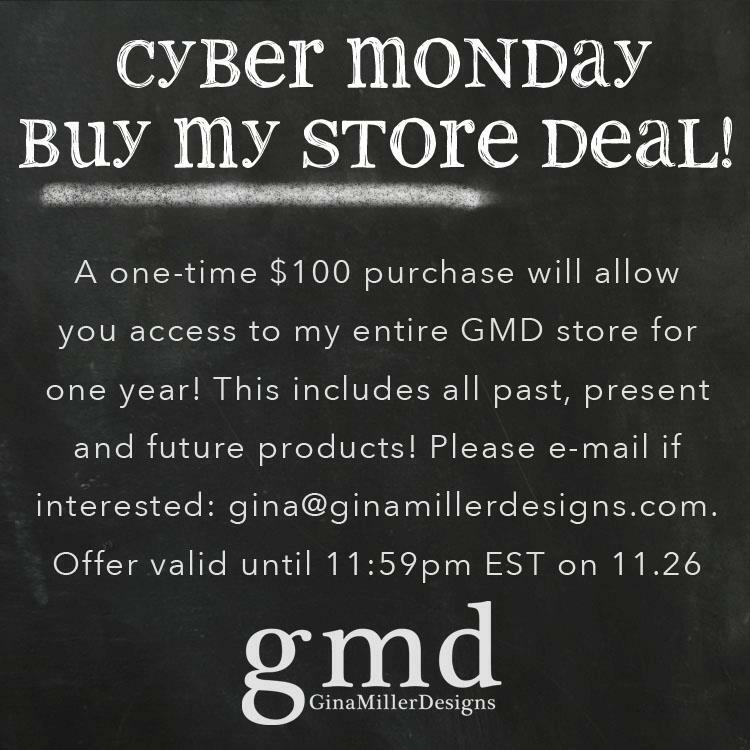 Please e-mail me at gina@ginamillerdesigns.com to discuss all of these Cyber Monday deals. The $50 offer cannot be applied to any previous bookings ~ sorry! Thank you for supporting my small businesses!